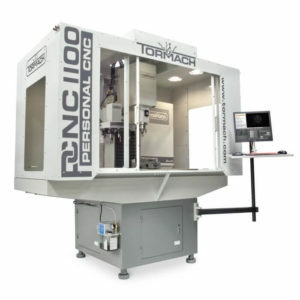 PS:1 recently voted to acquire a Tormach CNC mill, capable of machining metals such as aluminum, brass, and steel. As part of this purchase, the club also allocated funds to send four members for training at the Tormach facility outside Madison, WI. A related exciting development is that Tormach has offered to donate spots for 10 trainees to PS:1. A big thanks to member Tucker Tomlinson for arranging this donation. Full details are still being worked out. As part of the donation, PS:1 will engage in some joint activities with Tormach, including hosting a meet-up for the Chicago-area community interested in CNC milling. All in all, the donation represents both a cost savings to PS:1 and an opportunity to raise the profile of our upcoming acquisition.